PLAY AND EXCLUSIVE DESIGN COMBINED. R&T SERIES OF STAINLESS STEEL DOMES ARE A GREAT EXAMPLE OF THIS. 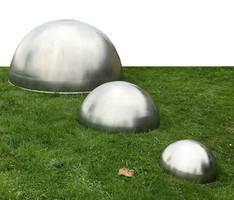 IN SPITE OF THE DOMES SIMPLE DESIGN IT INSPIRES MANY FORMS OF PLAY. 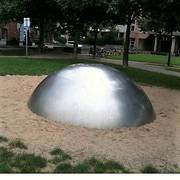 THE DOME SPEAKS TO THE CHILDREN’S CREATIVE SIDE AND CHALLENGES THEIR MOTORIC SKILLS AS WELL AS THEIR IMANIGATION. 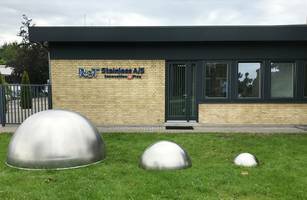 THE R&T DOMES CAN BE INSTALLED IN THE PUBLIC AREAS AS A SCULPTURAL AND ARCHITECTURAL PIECE OF ART WHICH GIVES A NICE ACCENT TO THE SURROUNDING ENVIROMENT.